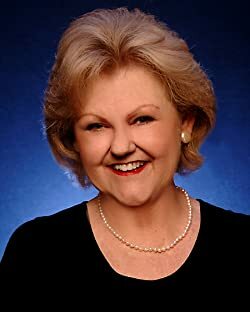 Cheryl Bolen is the New York Times, USA Today best-selling author of more than a dozen Regency-set historical romance novels. Her books have placed in several writing contests, including the Daphne du Maurier, and have been translated into 11 languages. She was named Notable New Author in 1999, and in 2006 she won the Holt Medallion (Honoring Outstanding Literary Talent) for Best Short Historical Novel. In 2012 she won Best Historical in the International Digital Awards for eBooks published the prior year, and one of her 2011 novellas won Best Historical Novella. Her books have become Barnes & Noble and Amazon bestsellers. A former journalist who admits to a fascination with dead Englishwomen, she is a regular contributor to The Regency Plume, The Regency Reader, and The Quizzing Glass. Many of her articles can found on her website, www.CherylBolen.com, and more recent ones on her blog, www.CherylsRegencyRamblings.wordpress.com. Please enter your email address and click the Follow button to follow Cheryl Bolen! Brazen Brides, Book 5When spinster Annabelle Lippencott is invited by her cousin, Emma Birmingham, to spend Christmas with the extended Birmingham Family, little does she expect to find Spencer Woodruff, the man who broke her heart eleven years earlier.